Outreach International medical insurance is a favorite international medical insurance plan! 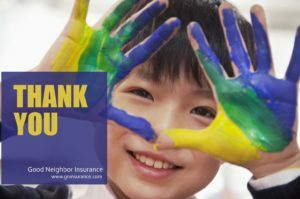 Why is it a favorite of Good Neighbor Insurance? It is our most popular short term international medical insurance. The reason is because the Outreach Internation al short term medical insurance is great for travelers, missionaries, and families as they do almost any type of traveling. It will only cover travelers outside their country of citizenship. This is comprehensive coverage for emergency situations while traveling because of the broad provisions it provides. Furthermore, one can secure this coverage for up to 12 months, and if they have at least 30 days of coverage, it can be extended up to 24 months. The extension and renewal of this plan is a prime feature of this international health insurance. It is quick to apply for online and the information is immediately sent to the email address. This makes getting coverage easy regardless of where a person is, as long as they have internet or a phone/Skype to call in. The coverage options are quite flexible, as are many of our plans. There are five limits for medical expense coverage, from $50,000 to $2,000,000. There are six choices of deductibles, from $0 to $2,500. The higher the deducible is, the lower the premium is; although the deductible is what the insured will be responsible for. Additionally, more is included in this international medical coverage than the medical expense limit. We like this plan as a whole, but there are specific things that stand out amongst the many other international short term insurance plans we have. One of the things that we like about this Outreach International is that the additional benefits have their own coverage limits. This means that they are separate from the overall medical expense maximum limit. For example: Medical evacuation insurance is limited to $500,000. If a person has need for a medical evacuation, due to lack of adequate local medical care, they must call the insurance company. The company will coordinate the evacuation in consultation with the medical personnel on the ground as well the insured person. They will take the patient to the nearest adequate medical facility for medical care. Expenses for a medical evacuation will be under the $500,000 limit, whereas medical expenses post-evacuation will be under the policy maximum limit. Medical evacuation: Medical evacuation is one of the most important benefits to have when people travel in the world. Medical evacuations occur when someone has a medical necessity that would result in the loss of life or limb, but cannot get treated locally. Even if there are good hospitals in the area a person is traveling to, an specific medical condition may not be able to be treated there. A medical evacuation would be needed in this case. We don’t want any families or travelers themselves to get stuck with a bill after a medical evacuation. A couple of our key staff members have experienced first-hand the headquarters of the company where they handle emergencies and medical evacuations. The team there is prepared and attentive to help, 24/7. There is also an Evacuation Plus rider that can be added. This will provide some coverage in case the insured person wants to have an evacuation for a non-life-threatening medical evacuation, or an evacuation because of a natural disaster. The coverage amount is limited and separate from the policy’s medical evacuation provision. Here are some of the other additional benefits: Political Evacuation insurance is limited to $10,000. Terrorism insurance is limited to $50,000. Political Evacuation and Terrorism coverage is not available in countries that have a current travel warning in effect on or within six months prior to the arrival in country. Return of Mortal Remains is covered to $50,000. Trip Interruption is covered up to $5,000. Accidental Death and Dismemberment (AD&D) is also included at a $25,000 limit. There are still more benefits to this excellent short term insurance plan! Anyone can view more information through the brochure on our webpage, or with the policy certificate wording upon request. The Outreach International medical insurance has a unique feature called End of Trip Home Country Coverage. After every five months of continuous coverage, one month of coverage can be added for time in the own home country. The most time of Home Country Coverage one can select is two months. The plan is designed to cover one outside their home country, yet with this add on, one is able to have coverage in their home! This is very useful for people who travel for many months and don’t keep their national insurance. With this benefit, when they return home, they have medical coverage as they either prepare to leave again, or obtain national health insurance. Sports: The Outreach International as is provides basic international sports insurance. This would be sports considered recreational and non-contact, such as downhill skiing or pick-up basketball. In addition, the Outreach International also has a rider for international extreme sports insurance: the Adventure Sports rider. This rider will provide coverage for many extreme sports with coverage up to $50,000 to age 59. After that age limit, the overall coverage has lower limits. Pre-existing conditions: Pre-existing conditions are not outright covered. For pre-existing condition insurance, one must be within the eligibility rules. In a broad overview, there may be some coverage for a pre-existing condition if it has been stable for at least 30 days prior to the effective date, and the person unexpectedly and unintendedly needs treatment, they may have some through the Sudden and Unexpected Recurrence of a Pre-existing Condition benefit. More information is available upon request. So there is an overview of the Outreach International medical insurance. Overall, this plan is amazing and we recommend this for most of our guests. In fact, I will most likely be using this same international medical coverage when I take my journey to the other side of the world!